One of the most profitable and popular genres of photography is still life photography. Often it is carefully processed photos that are posted on the sites that sell any products. Also this type of photography can be used to obtain high-quality images for advertising, magazines and the packaging of the goods and production printing. The main point in this technique of photography is a winning demonstration of the final product, the maximum highlighting its distinctive features and removing defects and apparent disadvantages. Thus, it is perfect or close to it the image of the object, by looking at who the potential buyer will want the emotions to get it. Commercial photography is always different from any other genre due to its style. This is especially true for advertising objects with a matte finish. There are a number of features that are used in this type of shooting, unlike the photos of still-lifes and artistic photos. In this case, the photographer should be required to pass very accurately and clearly all the main features and properties of your subject: its shape, color, texture, and other details. In addition, it is necessary to emphasize the volume and a good angle. It should be noted that in contrast to the art of receiving with original ideas in a blur, illumination, noise, and vignetting, are not allowed some inaccuracy in advertising photography you should clearly stick to the plan, leave work for later. Of course, product photography for advertising campaigns already pre-determines the availability of professional equipment, as well as images with the highest resolution possible, so for shooting you will need a minimum of a great camera and a pair of similar lenses, external flash, etc. The main focus in a creative profession was for the author of the advertising product photography for five consecutive years. It is mostly products for websites, magazines and different catalogs. In addition, numerous orders come from online stores that sell jewelry. The photo is taken on the Nikon D800 which is full frame camera with high enough resolution to 36 megapixels, and image dimensions in 7360×4912 pixels. This camera allows to obtain excellent photo quality, with dove-like sharpness and extreme detail. As for the lenses, then the photo is taken a few versions of them: Nikon AF-S NIKKOR 24-120MM F/4G ED VR, Nikon AF-S 85mm f/1.8 G Nikkor, Nikon 105mm f/2.8 G AF-S VR Micro-Nikkor. Of course needs to be a macro lens has a minimal distance (0.314 m) focus and high sharpness – it will be to your advantage when photographing fine detail in jewelry. This tutorial discusses the basic techniques and secrets, and give specific examples at the time of shooting a subject of promotional products. At the moment we have an advertising character for taking an indefinite object. This product may become the standard decoration or cell phone case, or a bottle of perfume. Not to beat around the Bush, we first need to clarify technical requirements and to accurately determine all the nuances. In order to properly understand the whole process, we need to determine from the customer what type of advertising photography. They are of two types – image and streaming. In the latter case the technique is used primarily for publications in online stores and booklets. To describe the process of shooting, then in the normal version is photographing different subjects on the same background with them absolutely simple staging and lighting effects. This option is perfect for objects with similar subjects. You will be able in 1 day to use up to five hundred products, thus you do not need a complex installation of photographs and their long-term treatment, since usually customers do not. As for image photo, here on the contrary requires careful study as the whole composition, and of parts of the picture, the concept. Also important moment is the possibility of including in the frame of additional tools such as background, props, etc. in addition, in this case is individually placement of lighting for optimal illumination of all elements. This type of photography is very laborious, lengthy and time-consuming as in contrast to streaming, it requires special attention and quality treatment, including using the program Photoshop. Such images are especially popular among designers for web design, printing, catalogs, as well as placing in the press. The total number of the photos will be only about 10-15 pieces. Be sure to request to specify where you plan to use the end result, and the format of the photos (vertical or horizontal, square, etc.). In addition, it is useful to know the size in pixels for the final result, which is expected at the output. If you know what a client wants to get, then you will be much easier to work with, and you will really understand what size and detail you should get the picture. 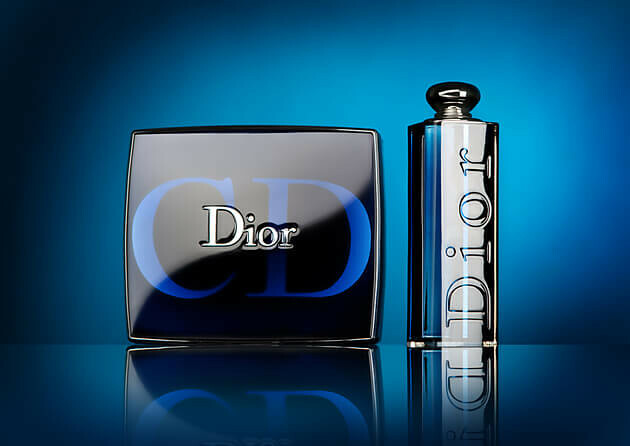 For small objects like bottle of perfume is enough for the standard sizes, for example, 600×600 pixels – no need to worry about dust and other uneven parts of the product, as they ultimately just do not see the user of the site. If you need photos for printing (on a poster or Billboard), then make sure that you maximum resolution and clear depth of field across the frame. In addition, you will need to thoroughly prepare to transfer the smallest detail, a space for retouching and the removal of irregularities that will occur if you increase the snapshot. Considering all these features, it is possible to calculate initially, the time and complexity of subsequent work, and hence its own fee. While saving the image at maximum settings, for example for printing on a Billboard, all the defects and irregularities which usually occur to the paint are visible to the naked eye. To eliminate the smallest dust particles, formed on the bottle, we need a special program retouching, with which we quickly correct the situation and get a perfect picture of the vial with a smooth and clean texture and crisp inscriptions. The following aspect need to be mandatory to clarify the customer will be required view of the object, as well as the specifics promotional products. For example, when shooting jewelry and cosmetics have their own formulation of the advertised object in the frame, as well as a distinct and advantageous from the point of view of sales angles that are commonly used in the Internet. Such pictures are considered the most easy to understand, unlike similar products in online stores. To do this, simply ask the customer to send You examples of photos that you want to take as the basis of the upcoming photo shoot. Most probably an effective way to conduct a rapid analysis on the same product will be to find alternative images in the search. This action is possible to achieve an optimal result, as you can see the most popular images in those angles which are suitable for you. For example, many photos on request “mascara” Google picture of the most famous brands. With a little consideration it is easy to understand that the best angle for the shot of the mascara is a front view of the closed bottle standing next to brush. In addition, it is useful to know about the background to use when photographing. The default option in this case is, of course, white background followed by thorough clipping. 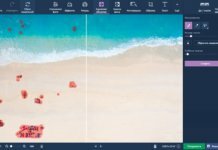 Clipping is called a replacement on a transparent background in any graphic editor, or completely white background with no superfluous information. The color in this case is set at the RGB values 255, 255, 255. These pictures can be used almost everywhere – in print media, websites, etc. Sometimes the customer requires the image with shadows from objects, individual reflections, and textured or colored background. 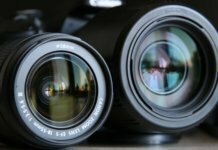 Basically, these techniques are not used in streaming photography and image photography. After we decided on all points of order, you can safely get to work and configure the camera. To begin, consider the basic nuances when photographing matte objects and discuss them on the example of 2 vials. To remove these items on a white background for the subsequent upholstery, we will need at least 3 different source of pulsed light, sturdy tripod table, synchronizer, 2 a blank sheet of white plastic. Plastic can be replaced by a standard paper white, but a preference all the same first component, as it is more dense and smooth texture without unnecessary bends and creases. Now we will place alternately white and green vials near the edge of the table, before tentatively placing it on a sheet of white plastic. As background placed a source of light with a standard reflector to illuminate the plastic. The camera mounted on a tripod and find a suitable angle for a snapshot and starting point of the object. The best for this purpose, as we have seen, is the front view. Please note that the axis of the lens (optical) must pass the exact center of your subject. This solution implies no distortion in the geometry of the product. Great angle! Illuminated objects using a special strip boxes (nozzles on the light source in the form of softboxes rectangular type) which are placed at the same distance on both sides relative to the camera. In the specific case, I used the monolight with 500 WS power range adjustment to sixty degrees. Following parameters were used: 2 strip-boxes with 38 degrees, the back reflector with 43 steps, and Nikon AF-S NIKKOR 24-120MM F/4G ED VR lens and the Nikon D800. As for the camera settings, here they are: aperture f/18, ISO 100, white balance, flash, shutter speed 250, 120 mm is the focal length. Thoroughly go to the camera settings, taking into account the fact that they can differ significantly from presented above. Use the map gray to a more correct position for the white balance. It is also necessary to remember about the minimum ISO values to get accurate shots without noise. The parameters aperture, it should be almost closed, as we need to get the depth of field around the perimeter of the subject, and focal length to reserve in the range of 50-125 mm thus, we obtain a fewer number of distortion. In addition, you need to remove only in RAW format, as this snapshot will allow us to get much more advantages in the processing stage unlike the JPG format. Look at the photos. On the bottle green color is uneven texture, which are clearly visible from 2 strip boxes on the plastic. Both bottles overall look is not very contrasting, so it is better to replace one of the strip boxes (left) to the reflector, which is exposed to 24 degrees. Due to more stringent light source, now the images have become much more contrast and juicy. The illumination of the background become overexposed and slightly blurred the boundaries of objects. Now install the sheets of cardboard black color on the edges of our chosen bottles, and look at the pictures. Now the boundaries have become clearer and the image looks more attractive and is much brighter. You can try to remove also and right strip-box, which we will replace the same reflector, the capacity of which will be 24 degrees. Now the difference is clearly visible on the bottle Gardex, and really noticeable when compared to previous photos. In both cases we added the brightness and contrast. This will be the final version. Open the program Adobe Photoshop to slightly edit the images. By Polygonal Lasso, Magic Wand delete the background, change it to white (RGB 255, 255, 255). Give slightly the contrast and adjusted the white balance with settings for Color Balance, Curves. Levels. Using the tools Patch Tool, Spot Healing Brush Tool we clean texture, and filters Sharpen Edges and Unsharp mask will add sharpness. Finished version! We only reviewed the most important aspects and techniques of shooting the subject of advertising photography, in practice, learned all the nuances. This article was given the standard features and settings.